Many people suffer from sleep disorders, due to several reasons like being nervous, uncomfortable, worried, sad, irritated or sick. Other reasons of insomnia are difficult to determine, if not related to certain diseases, but in general, the frequent periods of sleep deprivation have terrible effect on the daily living and health. The right way to solve the problem is always finding natural solutions before searching for medicines or sedatives, and surprisingly some techniques have good results. 1- Sleep like a baby. The easiest way to improve sleep quality is to sleep like a baby; in other words, to set up a regular schedule for sleeping and getting up everyday. This technique drives your body to develop a regular sleep habit, and hence it reaches a condition of relaxation at the sleeping time. 2- Switch off the lights. The pineal gland, which is located at the back of the brain, is triggered by light to wake you up, and this is what is supposed to happen every morning when the sun rises. As the pineal gland is responsible for circadian rhythm, it reacts to all light sources like computer monitors, mobile phones and television light; preventing your regular sleep and causing insomnia. To help regularizing your circadian rhythm, avoid electronic monitors and strong lights before you sleep. 3- Eat milk products or drink milk. It has been proven that taking calcium-rich foods helps your nervous system and brings relaxation, especially when you drink warm milk as it aids your digestive system. Taking a cup of yogurt with 1 banana is also good before sleeping. 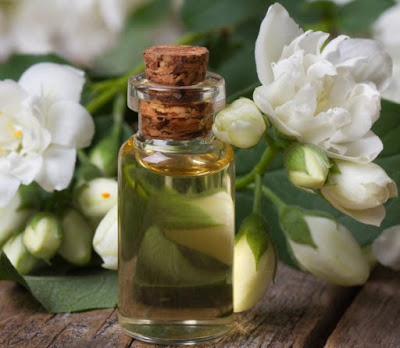 Some scents are known to bring relaxation and make you fall asleep in no time, and surely they are the common perfumes we spray while going out. 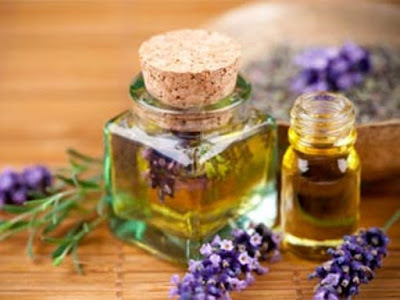 Most natural scents that come from flower oils, like jasmine and lavender oils are perfect for relaxation, especially when you use them to massage your body, hands, or face. Some people respond to body lotion or powder scents, or any other thing they love. It is always recommended to spray these scents before sleeping or at least rub your hands with your favorite lotion or jasmine oil. 5- Viewing the blue color. Not only viewing photos that contain too much of blue will help you to fall asleep, but also painting your bedroom with baby blue, light violet, lilac or lavender color will do great job every time you feel nervous or lacking a good sleep. If your bedroom is not blue, you may use blue carpet, pictures, sky or ocean wallpapers, curtains or bed sheets. 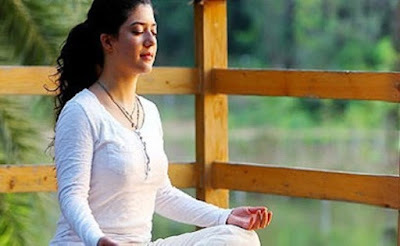 Slow breathing was the master technique for relaxation and hence sleeping. It could help with some people, but in other cases one may need an addition to aid their sleep. The second technique depends on taking a long breath and holding it for 10 seconds then releasing slowly. This is supposed to reduce the electric signals produced by the human brain, to the count that happens at the beginning of sleeping. The alternative of this technique was a light exercising before sleeping, but as it could harm the body or result in irritation when one is tired, trying a light contraction is better. Muscle contraction is a light effort that you can do, in hands, legs or tummy muscles. It allows the body to find a need for rest and sleeping after the effort and also distracts the mind to concentrate on the contracted muscles and expect a time of releasing. This distraction directs your thoughts to a single area at which there is no burdens or irritation, and hence allows faster sleep. 8- Meditation and sleep mantra. At the first time I knew that technique, I recalled magic spells and how many people believe in their powers. I thought that a light phrase/word, when repeated for a few minutes, may clear the mind from negative thoughts and daily burdens. This technique is quite like praising God with a certain word or phrase while meditating in quietness. All that is supposed to bring your body to a relaxation state before sleeping or when one awakes at midnight and feels unable to sleep again. Listening to soothing music, songs or sleep tunes helps to bring your body to the relaxation state it requires for sleeping. It is quite like singing a lullaby for your baby everyday; therefore, it makes this distinctive matter as a daily sleep habit to end up your irritation and insomnia sessions at once. 10- Avoid caffeine and exercise more. Avoiding caffeine will naturally improve your sleep pattern and rid you of irritation. In addition to that matter, doing regular exercises will surely improve your health and gives a great chance for sleeping, especially when you exercise everyday. Such technique will regulate your blood pressure, heartbeats and muscle exercising, leading your body to perfect sleep after that healthy effort.